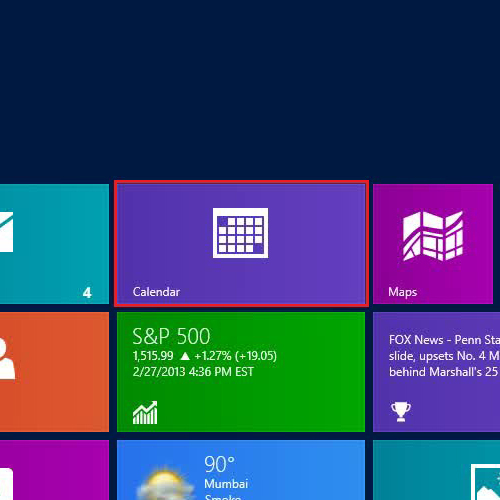 Windows 8 has an option to sync itself with different calendars like windows live, Google, Face book etc. Once you sync your calendar with your favorite application, Windows 8 Calendar will start displaying your reminders, events and birthdays live at your desktop. In this tutorial, we will teach you how to remove Face book friend’s Birthdays on the Windows 8 Calendar in few easy steps. In this tutorial, we will guide you on how to remove Face book friends Birthdays on Windows 8 Calendar. 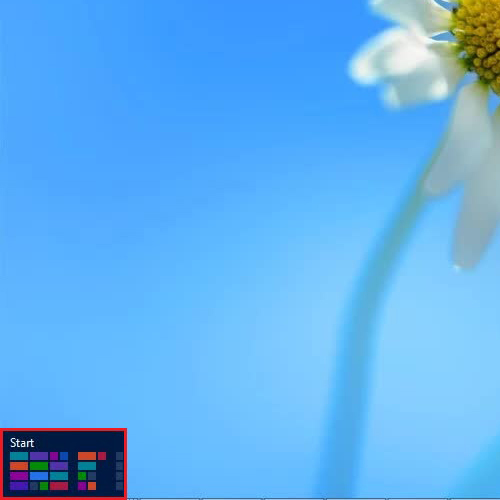 First of all, move the cursor to the bottom left corner of the screen and click on the “Start Menu” to open it. 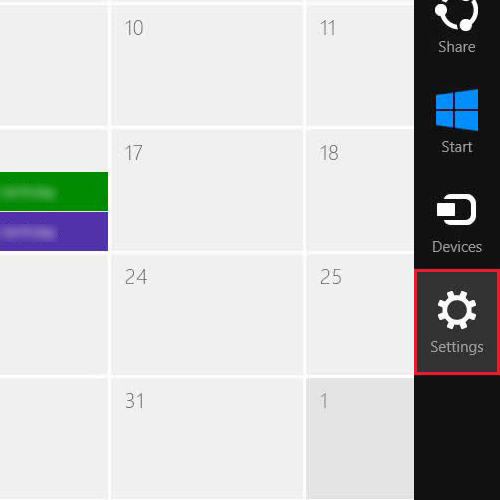 Once the Start Menu has opened, click on the “Calendar” tile to open up the Calendar application. Once the Calendar has opened, move the cursor to the bottom right corner of the screen or press the “Windows + C” Key on the keyboard to display the “Charms Bar” and click on the “Settings” option. 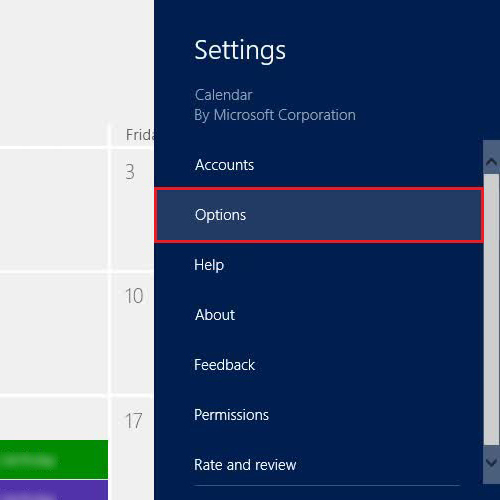 Once the Calendar Settings opens up, click on “Options” located in the menu in order to open advanced options of Windows 8 Calendar. Once the Calendar advanced options panel has opened, move the slider of the “Birthday Calendar” to the extreme left. 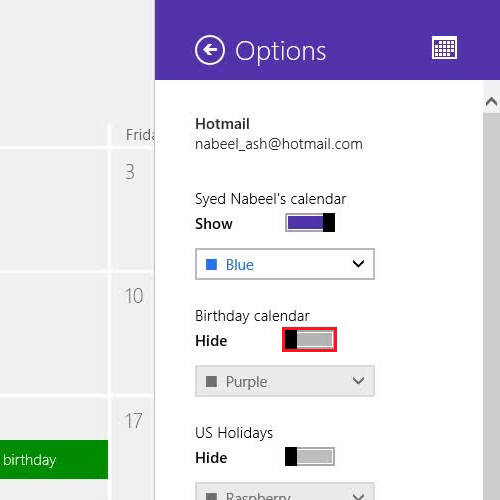 This will completely disable Facebook Birthday Reminders on your Windows 8 Calendar.